The water will keep flowing in a single-family home in Miami Beach at the center of the city’s crackdown on short-term rentals. Following an evidentiary hearing earlier this month, Miami-Dade Circuit Judge Jennifer Bailey upheld an earlier ruling that Miami Beach cannot shut water off at 3098 Alton Road because its owner owes $201,500 in illegal short-term rental fines. During the hearing, Miami Beach financial analyst Jim McMillion testified that the city had never issued disconnection orders for properties that owed money not tied to unpaid water services, until he received an email last year from the building director to shut off five properties owned by individuals and entities that had not paid fines for operating illegal short-term rentals. In the case of 3098 Alton Road, the city had revoked the single-family home’s certificate of occupancy in early 2018 following a code enforcement investigation that revealed a tenant was subleasing the property on Airbnb. The owner, 3098 Alton Road LLC, sued the city in November, challenging Miami Beach’s illegal short-term rental ordinance and its exorbitant fines as unconstitutional. The entity, which is owned by Safe Harbor Equity, also sought to force the city to turn the water back on, which Bailey granted on Dec. 3, 2018. The property’s certificate of occupancy and its utilities have since been reinstated. However, Miami Beach attorneys, in an attempt to convince the judge to reverse her order, requested the evidentiary hearing to show the city had the legal authority to turn the water off because of 3098’s unpaid fines. Chris Spuches, 3098’s lawyer, said the city’s legal team argued that Miami Beach had a long-standing policy of shutting off utilities at homes that are in arrears or have liens for violations that are not related to a homeowner’s water bill. The finance department is responsible for issuing the disconnection orders to the public works department, according to McMillon’s testimony. But he also said that he had never received any memos or direct orders to shut off the water if a property owner didn’t pay short-term rental fines. 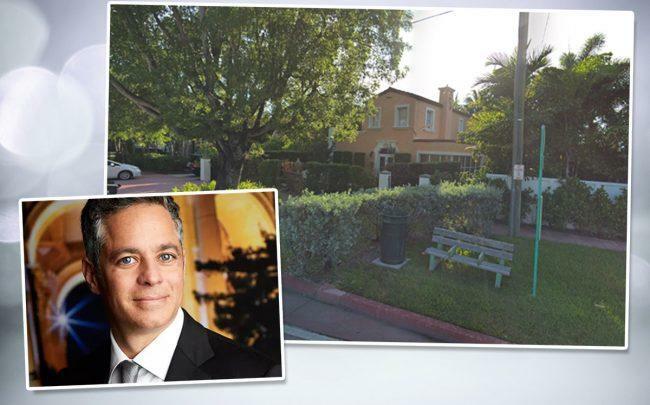 He said he flagged 3098 Alton Road for disconnection based on a January 2018 email from Miami Beach’s building official. “The city just plowed forward with a flawed theory until it blew up in their face,” Spuches said. Miami Beach Chief Deputy City Attorney Aleksandr Boksner told TRD that Miami Beach will appeal Bailey’s ruling. Boksner said the water was shut off because the city’s building official had revoked 3098’s certificate of occupancy, but he did not comment on McMillion’s contradictory statements. According to a Feb. 1 memo from Miami Beach City Manager Jimmy Morales, Miami Beach has issued 431 violations totaling $13.3 million in fines. The city dismissed 89 violations worth $4.1 million and and another 40 were closed with property owners agreeing to pay Miami Beach a fraction of the fines. The memo notes the 40 violations were for a total of $1.3 million that were settled for a total of $300,500. The city has also collected $463,500 from owners who did not contest the violations. The remaining $7.8 million remains outstanding.